Between a cyclist and his fastest time trial lies one fierce opponent – air. The maximum rate at which someone or something is able to move or operate. Providing riders with cockpit adjustability for creating sustainable aerodynamic positions. Leading to optimum performance in any wind condition. Optimized aero designs and cable and component integration are key ingredients to making a bike aerodynamic, while the adjustability of bars, pads and saddle positions are key to ensuring that you maintain your position for the complete duration of your race. So the only doubts on crossing the finish line are how your legs, your lungs, and your mind performed. A slippery-fast frame is always a good start – but adding a versatile, aerodynamic positioning system for the rider breaks records.The Timemachine’s refined Position-to-Perform (P2P) system lets athletes find their ideal contact points without sacrificing aerodynamics, no matter how aggressive or conservative the front-end or saddle position is. SubA refers to the maximization of aerodynamic efficiency through minimizing exposure to wind. 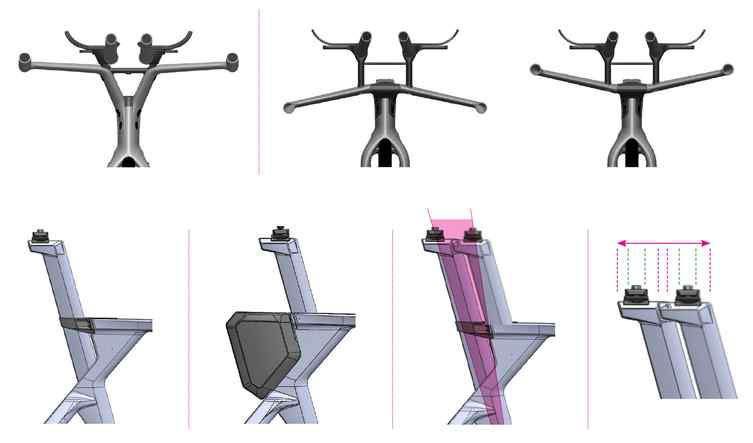 This is achieved through the optimization of three core features; aerodynamically optimized tube shapes, high levels of integration, and rider position-specific components. Following a three-year partnership with Sauber Engineering, a newly revised SubA concept summarizes our aerodynamic advantages: tubes with truncated profiles, crosswind-stable tube shapes and a super-lean frontal area. The full integration of cabling, a frame concept that takes storage solutions heavily into account and our hinge fork design (integrating brakes) all play a huge part in achieving absolute minimal exposure to wind. On longer efforts or when the bike leg precedes a run, riders tend to take a less aggressive position. 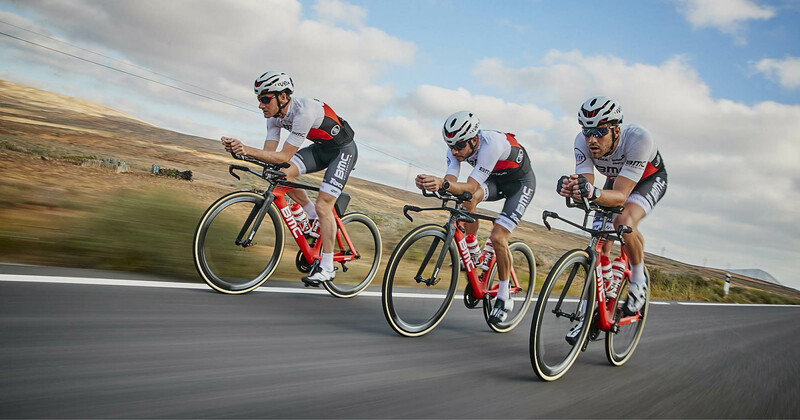 We have developed solutions like the V-Cockpit and the Flat Cockpit to deliver optimal aerodynamic performance to all riders regardless of individual Pad Stack preferences.